Is your campaign a gas guzzler? Cut costs and go further with free apps. "Fundraise! Money is like gas for your campaign", candidates are advised. How many miles to the gallon (MPG) does your campaign get? Are the funds you work hard to raise being spent efficiently? Or are they enriching others, but not getting your campaign far? Fuel efficient cars go further on less gas with better technology. Campaigns should similarly see how they can reach more people for less money with better apps. Businesses spend billions on software innovation and many offer free versions of their apps to attract new customers. These freemium apps have limited features to encourage customers to upgrade, but are usually adequate for many campaigns. Candidates save money and can speak with more voters with the time they save from fundraising. These free(mium) apps can be used for both political and advocacy campaigns. 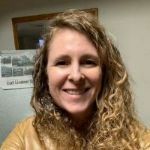 This case study explains how a forty second social media video campaign was designed with the Legal Aid Justice Center as part of a workshop exercise. This wonderful non-profit provides legal representation for low-income individuals in Virginia. It seeks equal justice for all by solving clients’ legal problems, strengthening the voices of low-income communities, and rooting out the inequities that keep people in poverty. Here's how the video was produced in under three hours using only free apps. Watch the complete video with sound here. Record appeal for stories People relate to the personal stories of others in situations similar to their own. We decided to collect stories from public housing residents to make our video authentic. 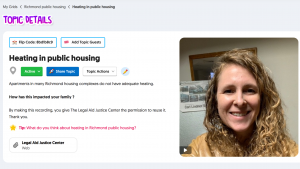 A short video was first recorded on an iPhone asking residents to share their experiences of living in Richmond public housing. This video appeal was combined with additional details using FlipGrid (a free Microsoft app). The question to be answered and the duration of the recording can also be defined. A link requesting stories was created and shared shared by email. Community workers and canvassers can also use the link to collect videos in person. Learn more about using FlipGrid here. 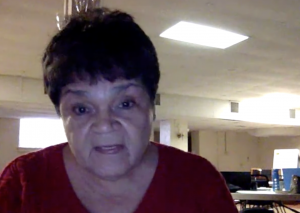 Velma recorded her story on a laptop using the link she was emailed. She describes in Spanish how her grand-daughter suffered from the poor heating and fell sick. She recorded her story a few times till she was satisfied with it. Velma's recording was automatically uploaded to the the Flipgrid console which makes it easy to collect and organize videos on different issues. We downloaded Velma's recording from Flipgrid to our Mac to create our campaign video. Unsplash is a wonderful online resource for royalty free photos. "All photos published on Unsplash can be used for free. You can use them for commercial and noncommercial purposes. You do not need to ask permission from or provide credit to the photographer or Unsplash, although it is appreciated when possible." 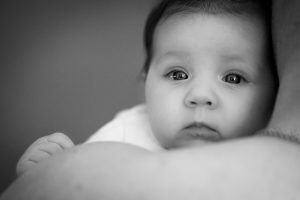 We chose this stunning photo of a baby by Sabine van Straatenas for our video. We next used Spark (a free Adobe product) to combine details on the Legal Aid Justice Center, Velma's video recording and the baby photo into a video complete with free background music from Spark. Learn more about using Spark here. Spark lets you share your video through email or on social media with a link. The video can also be embedded in a web site. Any edits you make to your video later are automatically refreshed everywhere. The video can also be downloaded and uploaded to YouTube or Vimeo. We added the 'Basta!' video to the DemLabs Vimeo portfolio here. Record your appeal for others to share their stories on a phone or laptop. Use Flipgrid to create a link to collect video stories. Unsplash is a good source for free photos. Spark lets you create videos and also offers free photos and background music. Let us know about new apps and resources. We'll be glad to review and publicize them (for free) so progressive campaigns always get the best possible mileage. Democracy Labs is a hub for ongoing technology and creative innovation that serves progressive groups at the national, state, and local levels. Donate here to support our work. Share this blog with this link.